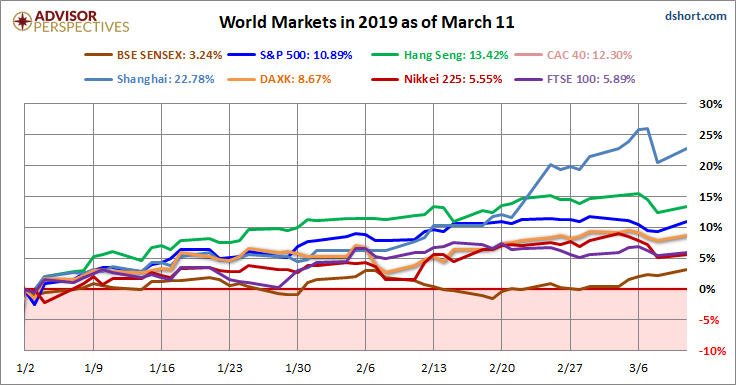 All eight indexes on our world watch list posted gains through March 11, 2019. 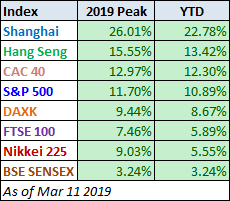 The top performer is the Shanghai SSE with a 22.78% gain and in second is Hong Kong's Hang Seng with a gain of 13.42%. 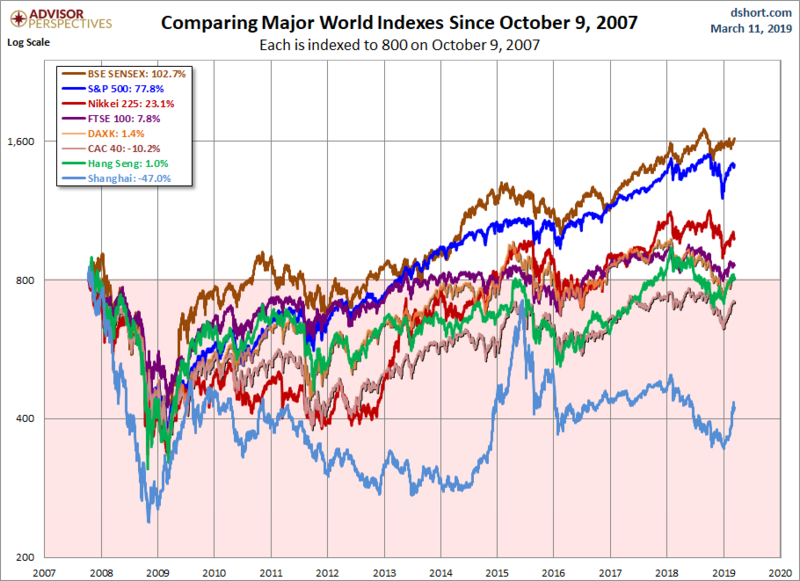 In third is France's CAC 40 with a gain of 12.730%. 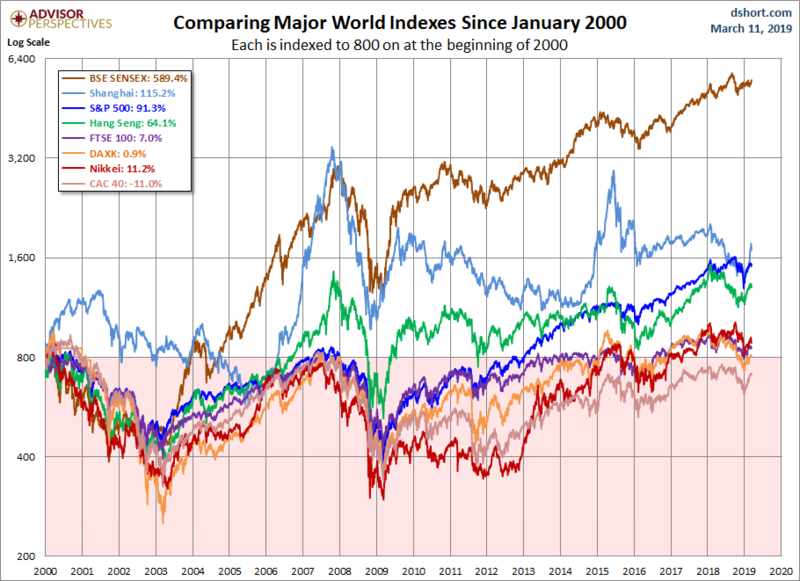 Coming in last is India's BSE SENSEX with a gain of 3.24%. 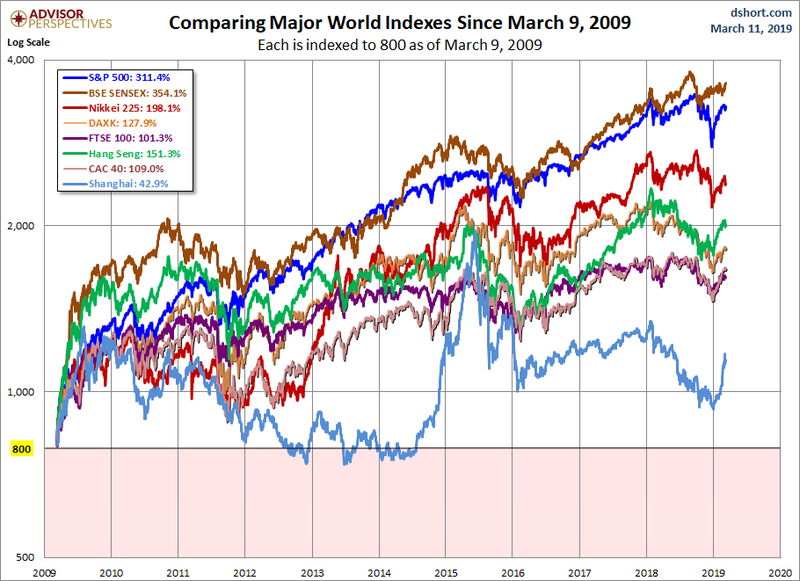 Here is the same visualization, this time starting on October 9, 2007, the closing high for the S&P 500, a date that is approximately the mid-point of the range of market peaks, which started on June 1st for the CAC 40 and ended on January 8, 2008, for the SENSEX.